We all love nothing more than a nice trip away for a new adventure or some much needed R and R. For autists however, travelling overseas, (like life in general 😛 ), can be very stressful. The crowds, the smells, lack of sleep, ear popping, travel sickness, the stress of beeping going through airport security knowing that random people may invade your personal space- it’s a lot to process! So how might one navigate some of these difficulties? Pack plenty of snacks– one of the trickiest aspects of travel I find is to find “Aoife friendly” food. If you’re travelling long hours without something decent in your stomach, it can be very difficult to stay sane. Eating healthier snacks may also help you avoid some travel sickness. Aoife’s Top Tip– the discovery of Belvita Breakfast Biscuits has made my life sooooo much easier! Shannon airport have also implemented a customer care program for autists where special caps and wristbands are assigned so that airport staff can readily recognize and help an autist appropriately. This week I’m going to discuss an important issue for many people on the spectrum- going to the dentist. I know- no one ever really enjoys going to the dentist (except maybe Bill Murray in ‘Little Shop of Horrors‘! 😛 ), but for autists in particular, visits to the dentist can be quite traumatic. For many, the invasion of space can be an issue, for others, a trip to the dentist can aggravate sensory sensitivities (the sensation of brushing, the taste of toothpaste, the smell of latex gloves etc). So how might we navigate an autists difficulties at the dentist? Inquire if your dentist is autism friendly– Have they had autistic patients before? Do they have any special tools or techniques to make the visit more comfortable? Do they take any sensory interventions such as dimming the lights, providing sunglasses or minimizing any loud noises that may startle the child? Wear noise cancelling headphones– whilst this may not be as effective as in other situations given that the tools are operating so close to the ears, nevertheless this may help to take the edge off any noise related issues. Weighted blanket– A weighted blanket sitting on your lap could be quite beneficial in calming an autist. As I’ve discussed previously, the deep pressure stimulation can calm the mind and put the autist at ease. X-ray jackets can also be used to substitute for a weighted blanket. Comforters such as soft toys or other sensory items that autists use to ‘stim‘ can also be useful to help put them at ease. Communication is key– as I’ve said above, the unknown is often one of the more unsettling aspects of a dental visit for an autist. Talk them through each step, show them what you are planning to do to their teeth, allow them to see and feel the tools- testing a motion on the hand can be useful to desensitize an autist prior to the oral exam. Sedation– though not the best of options, this can sometimes be the only way for particularly anxious autists or those with gagging issues to get through a visit to the dentist. In continuation from my blog post about autism in the workplace, this week I’m going to give some of my tips and tricks for finding and maintaining employment for autists. Job seeking can be a daunting prospect for anyone, but for autists in particular, this can be quite the overwhelming experience. Navigating career search engines, filling out applications, preparing for interviews, coping with rejection- it’s a lot to handle. Is this job a good fit for me? What areas may be challenging for me in this role? Is this an equal opportunities employer? Top Tip: Glassdoor is an excellent online tool for job hunters. It allows you to look up different companies, read employee reviews and interview experiences, giving you invaluable insight into what life could be like for you within that company. There are a number of organisations out there that are dedicated to advising, training and preparing people with autism for the workplace. For example, Specialisterne is an international organisation dedicated to creating jobs for people with autism through partnership with several companies in the science and technology sector. Specialisterne coaches people with autism and Asperger’s syndrome to prepare them for the workplace and additionally provides employers with training so to best support their employees. There are also numerous career coaches and communications agencies out there which can sit you down and help you to prepare for an interview, run through mock questions, give you tips on body language etc. Preparation is Key– research the company, prepare answers to common questions, look up your interviewers on LinkedIn (don’t worry, you can use a private setting so they won’t know you’ve looked them up! 😉 ) etc. A mock interview can also be very useful. The more you prepare, the more comfortable you will feel in the interview. Keep your answers relevant to the question– I know it sounds obvious, but if you’re anything like me, beware of tangents! Ask for a moment to think– if a question throws you, drink some water and ask for a minute to think. It’s perfectly acceptable to ask for this. It gives you time to gather your thoughts whilst remaining in control. Congratulations-you’ve gotten through the interview stage and the job is yours! 😀 However, a number of people with autism will struggle to maintain this job. The workplace can be quite overwhelming as I’ve discussed, and we often do not receive the support we need from our employers. If you feel comfortable disclosing your diagnosis to your employer, steps can be taken to help accommodate your needs. For example, autism training can be arranged so that other members of staff can better understand and support you. Having a work mentor or job coach to talk to and advise you about your workplace can also be helpful. This person can advise you on workplace ettiquette, social skills, interacting with co-workers and the unwritten rules of your place of work. As I’ve said before, talk to someone about your problems with work- let it all out! Try to maintain a good work- life separation. At the end of the day, we all need to leave work at work. It can be hard to switch off at the end of the day, especially for autists, so try to relax! Why not take up a hobby that will engage a different part of your brain such as art, exercise, music or gaming? Do what you have to do to unwind! Take care of yourself- Keep snacks nearby, stay hydrated and get to bed early! Sleep tip– Blue light from screens interferes with the hormone that induces sleep, Melatonin. So ditch the laptop before bed; read a book instead! For a change today, I’d just like to write a quick post for all of the autism parents out there. Educate yourself– Read, read read! Understanding is key to helping your child. A mechanic can’t help your engine if he doesn’t know how it works first. Don’t believe everything you read– You’ll quickly learn that one size does not fit all when it comes to autism. Each case of autism is different, every autist will have different needs and experiences to the next. The advice and experience of others can be useful, but remember to take everything with a pinch of salt. Accept the A-word– Acceptance is at the heart of supporting a child with autism. Without this, they can never truly fulfill their potential. There’s no use in burying your head in the sand. 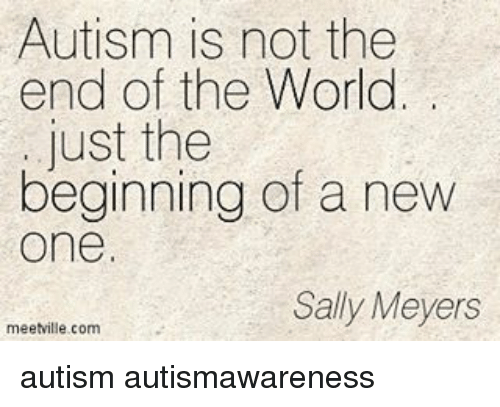 We won’t grow out of autism, we need to accept and grow around it. Did you know that between 75 and 85% of people with autism cannot find/maintain employment, despite many being highly educated? Most of us have a strong desire to work and the qualifications to boot, but what we lack are the skills to navigate the workplace and or the interview process. For many people with autism, the interview is perhaps the most difficult part of the employment process. Unexpected questions can throw us, social niceties can go over our heads, eye contact is a struggle and repetitive movements are often hard to control. We like structure and routine, things we can control and predict; interviews take us out of our structured comfort zones. All these difficulties coupled with the mere mention of the ‘a’ word sadly may see your CV dropped to the bottom of the pile. Of those lucky enough to get over the hurdle of the interview, further problems may lie in navigating the workplace itself. The workplace can be overwhelming for the best of us, but for an autist, this can be even more so. Noise levels and repetitive sounds, the pressure to reach deadlines, the unappetizing smell of your co-workers lunches (whenever someone has fish at work it’s a real struggle for me to hold back my gag! 😛 )- it can be a sensory smorgasbord, not to mention the potential social issues! Some days it just takes all your strength to hold back a meltdown. However, the tables are beginning to turn for the better in terms of making the workplace autism friendly- in fact many companies are now specifically seeking to employ autists to mine our oftentimes untapped skill sets. Today I’d like to briefly examine one of the most commonly recommended therapies for autism management- cognitive behavioural therapy or CBT. First off, what exactly is CBT? Originally designed as a treatment for depression, CBT is a form of psycho-social intervention (i.e. counselling/psychotherapy) that is widely used to help improve mental health. Unlike other forms of therapy, CBT focuses on developing coping strategies to target our problems and to change unhelpful patterns in emotions, attitudes, negative behaviours, and thought patterns. In other words- CBT aims to change negative ways of thinking or cognitions in order to improve behaviour. As a result, CBT is widely used to treat anxiety, depression, eating disorders, OCD and a range of other psychological issues- many of which are co-morbid with an ASD diagnosis. It’s thought that CBT can be a particularly useful tool to treat anxiety and to help develop emotional recognition in autists. CBT was personally recommended to me following my initial diagnosis in order help me to better understand autism and to conquer my social anxiety. Nevertheless, I did find it beneficial to have a neutral party to talk to in those first initial months post diagnosis. It’s quite a lot to take on board, so it was nice to have that outlet to help guide me through the fog. As twinkling Christmas lights are rapidly being erected around me, I’ve been thinking a lot about autism and light sensitivity this week. Light sensitivity, also known as photophobia (although the phobia part has never really made sense to me! 😛 ), is quite common for autists. We are hypersensitive to other sensory stimuli such as sound, so naturally, light too can cause sensory issues for many autists. The wrong lighting environment can cause a whole host of problems that can exacerbate behavioural issues. If lighting is too bright, this can distort vision, cause headaches and sleep disturbances, and of course, sensory overload and meltdowns. Equally, some autists can be hypo or under sensitive to light. This can cause issues with depth perception, coordination and clumsiness in addition to blurred vision. So why are we more sensitive to light? Well, as with many aspects of autism, there has been little research into this particular trait. One study has shown that the pupillary light reflex (the reflex that causes our pupils to either shrink or dilate in response to light) is noticeably different between autists and neurotypicals. Results from this study indicated that this reflex is delayed in autists, where the pupils constricted at a slower velocity and a smaller amplitude (i.e. the maximum size the pupil could constrict to) to neurotypicals. If our pupils are not regulating the entry of light into our eyes as efficiently as our neurotypical peers, this could explain why light can sometimes overwhelm us. Optic nerve hypoplasia (a condition where the nerve connecting the eyes and the brain is underdeveloped) has also been indicated in a number of cases of autism, with photophobia being one of the main symptoms. So perhaps the development of the optic nerve may be impacted in the autistic brain. So what can you do to help navigate this sensory issue? Wear sunglasses– Ah, my best friends! I carry a pair in my handbag at all times as you never know when the sun might unexpectedly peep out- even in Ireland! 😛 For night time, why not try an eye mask (although if you’re as fidgety as I am at night, this could end up on the floor before dawn! 😂)! We all love our furry and feathered friends dearly don’t we? Seems hard to imagine the internet without funny animal videos these days! Animals are so important to us that they are not just friends, but an integral part of the family. For autists, an animal in the home can be this and so much more (#specialistinterest 😉 )! Research suggests that animals can play a very important role in the social, emotional and cognitive development of children and can also aid the development of empathy. Animals such as assistance dogs (which I hope to write a post on at a later stage), cats, horses, guinea pigs, and interestingly keeping chickens is the latest trend to help improve these skills in the autistic community! Studies have shown that the social skills of autists who live with an animal are much greater than those who do not have a pet. Pets are often considered “social lubricants” wherein they provide autists with a source of conversation which can encourage better engagement. Sometimes we find it a lot easier to relate to animals. I’ve often remarked growing up that life would be so much easier if we were all dogs for example. With a dog, life is black and white (fun fact– they aren’t colour blind!). You take care of them, they love you forever-simple. There are no games or tricks (well, unless like my dog yours spins round in circles when you try to brush him to make you dizzy in the hope that you will go away 😛 ), you never have to wonder where you stand with a dog, they’ll make it very clear if they love or hate you! Studies have also shown that animals in fact can have a measurable biological effect on people with autism! A recent study measured “excitement” levels in children with autism when performing such tasks as reading out loud and playing with a group. The results showed that in these situations, the excitement levels were higher in the brain indicating stress. However, when these levels were measured whilst playing with an animal they plummeted as stroking the animal induced biological calm. However, as beneficial as animals can be, experts advise that the individual needs and sensitivities of the child are taken into consideration when choosing a pet. A dog might seem like a good idea, but whilst many autists may gravitate towards the soft and furry, others may be repulsed by the texture of their hair, the smell or may even be overwhelmed by their energetic nature. As we head into flu season, I thought I’d explore some of the challenges that face autists when it comes to feeling unwell. Now imagine you have autism- you are hypersensitive to stimuli such as temperature changes, struggle with change, and do not cope well with discomfort. On top of this, your struggles to communicate might make it difficult to convey that something is wrong. Most children will tell their mother that their tummy hurts; an autist may struggle to identify or describe a medical problem to a parent or doctor, especially in nonverbal cases. It might just be a simple cold or bug to a neurotypical, but to an autist, it may be an entirely overwhelming experience. One of the biggest challenges that I faced growing up was not so much coping with illness, (I have been known to go out clubbing whilst suffering from a bug or the flu!) but treating it. Mix liquid medications into another drink or yoghurt– Ok, I know this feels a little bit like wrapping tablets in meat to get your pet to take them, but there is method in the madness! My mother used to mix antibiotics or antihistamine in with my juice or flat coke when I would refuse to take them. For the most part this worked, but sometimes I found the combination tasted just as bad- so trial and error! Just make sure that they consume the whole thing to get their full dose. Ask for tablets not liquids– Granted, you can’t get tablets before the age of 12, but if given the choice- take the tablets. There is far less chance of taste related rejection! Make a game of it- Why not try and use a specialist interest to encourage them to take their medicine? ‘It’s a magic potion to make you feel better!’, ‘This is what makes the Hulk strong!’ ‘See- it’s pink like Barbie; her favourite drink!’ My mother tried something like this by writing a note on a box of meringues to say that she had cast an engorgement spell on them to keep me from eating them! I was a bit older at the time, so I mostly ignored it, but I got a chuckle out of it at least! 😛 😉 Had I been a stubborn 6 year old however, I definitely would have fallen for it.